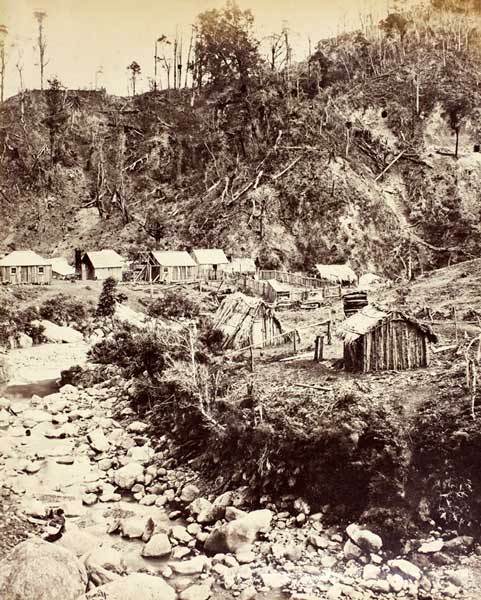 Gold miners prompted the first change from the voting rights that had been established in 1853. The huts they lived in – shown here in the late 1860s – would not have allowed them to vote as householders, and few had property. Bearing in mind the unrest that had occurred on the Australian goldfields (notably the Eureka Rebellion of 1854), New Zealand's Parliament passed the Miners' Franchise Act 1860, which was further extended in 1862. As a result, any male British citizen who possessed a miners' right (licence) for at least three months could vote. However, for miners working isolated claims the difficulties of getting to a polling booth remained a significant bar to taking part in elections.